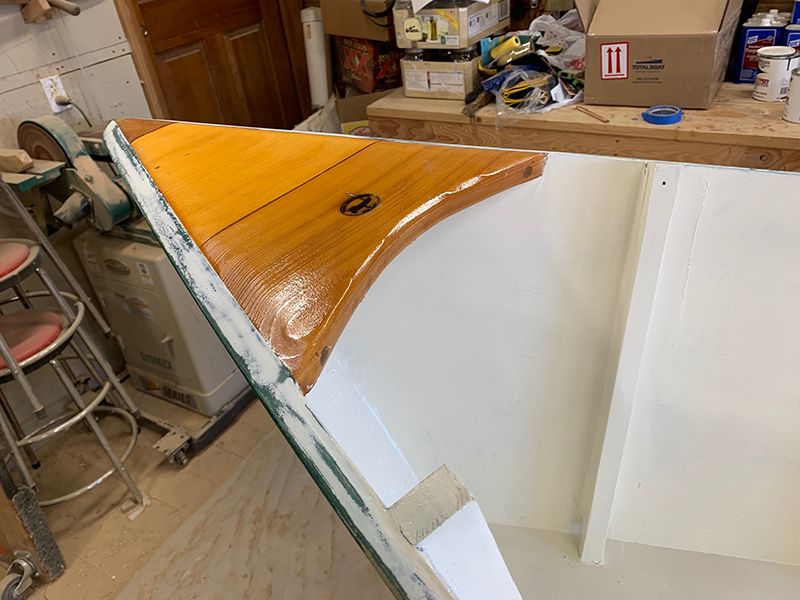 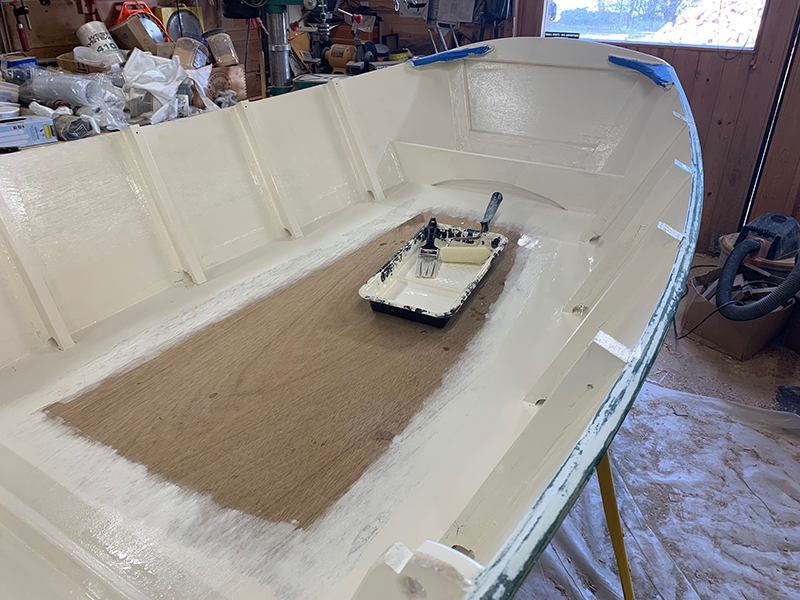 Yesterday I applied the first coat of Pettit EZPoxy off-white, temporarily fit the inwales, applied white marine filler to the top of the gunwales, and varnished the breasthook. 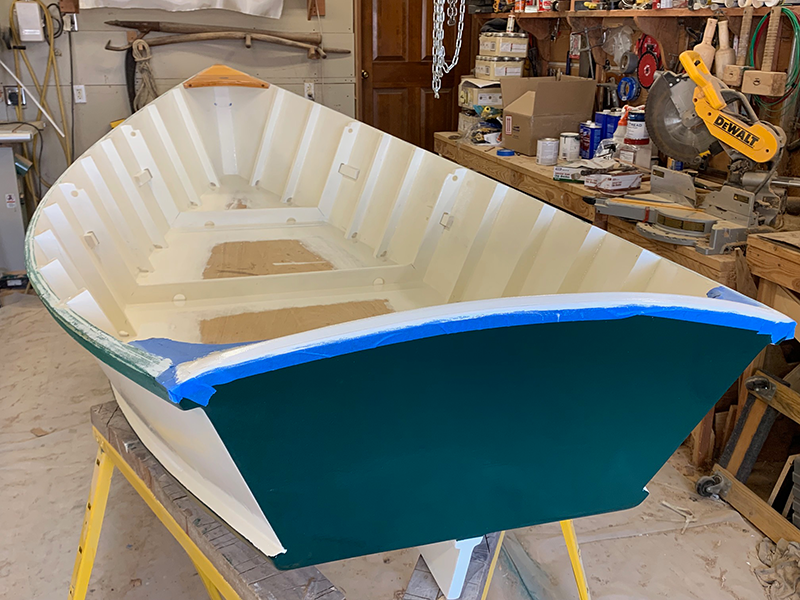 Today the second coat of off-white was applied and varnished was applied to both sides of the inwales. 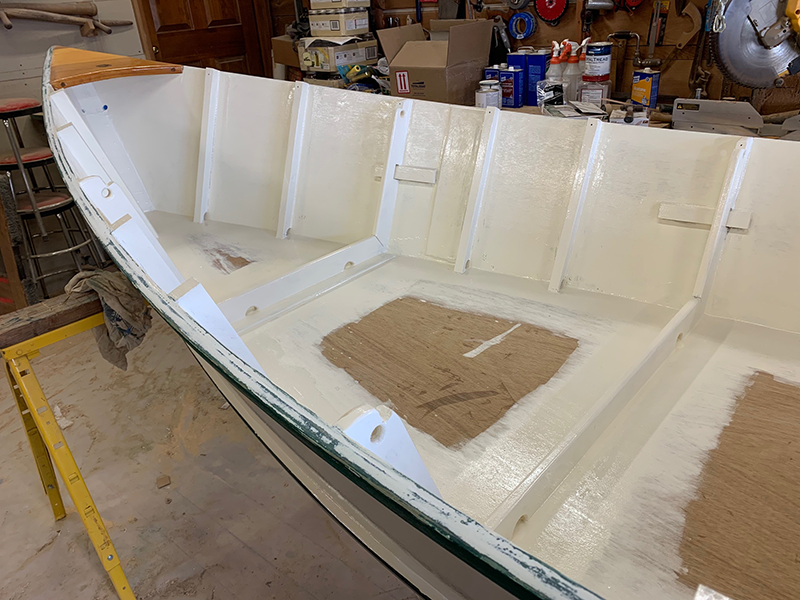 Tomorrow, the third coat of off-white will be applied.